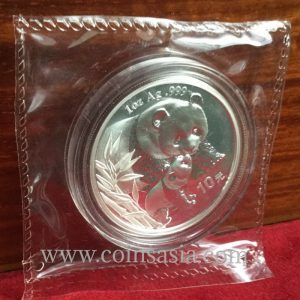 *First non Panda Coin Issued for the Beijing Coin Show Series. 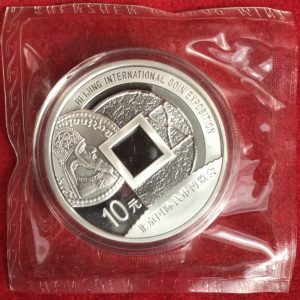 This 2007 China 10 Yuan Beijing International Coin and Stamp Show Silver was the first non Panda show issue. 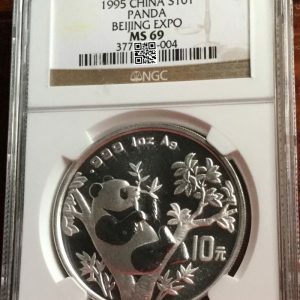 The series began with the 1995 Beijing International Stamp and Coin show Panda and continues through present day.. 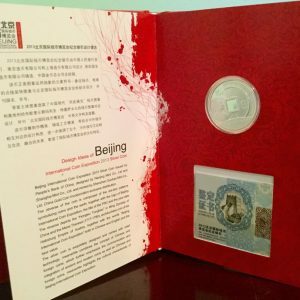 The Beijing International Coin and Stamp Show commemoratives issues began in 1995. 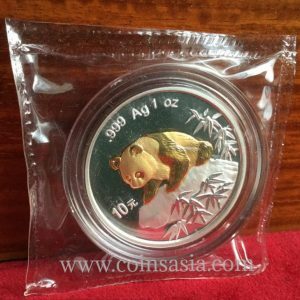 The inaugural issue features the famed 1995 Silver Panda 10 Yuan coin with the Panda relaxed feasting on bamboo leaves. 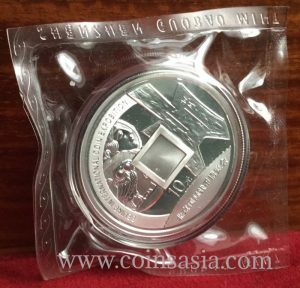 The obverse features the Temple of Heaven in Beijing with the words “Beijing International Coin and Stamp Show” in Chinese. 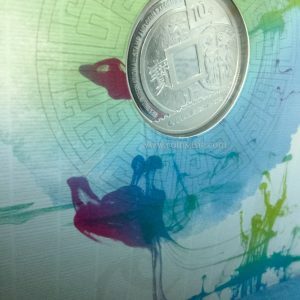 The success of these Beijing International Coin and Stamp show issues continues to present day. 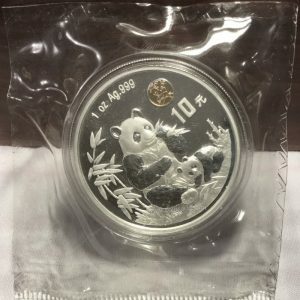 With its mixture of Panda coins, scenic and Historical coin and stamp emblems, these represent both historic and cultural significance to Chinese collector and alike. *A unique Gold Panda inset. 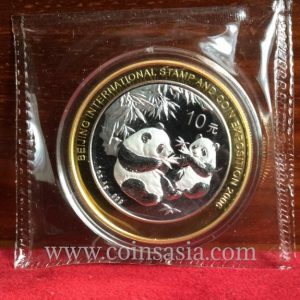 ***Key date Panda for the Beijing International Coin & Stamp Expo Series. *One of the most attractive Panda displays. *Beijing International Coin and Stamp Show Silver Coin in Book. 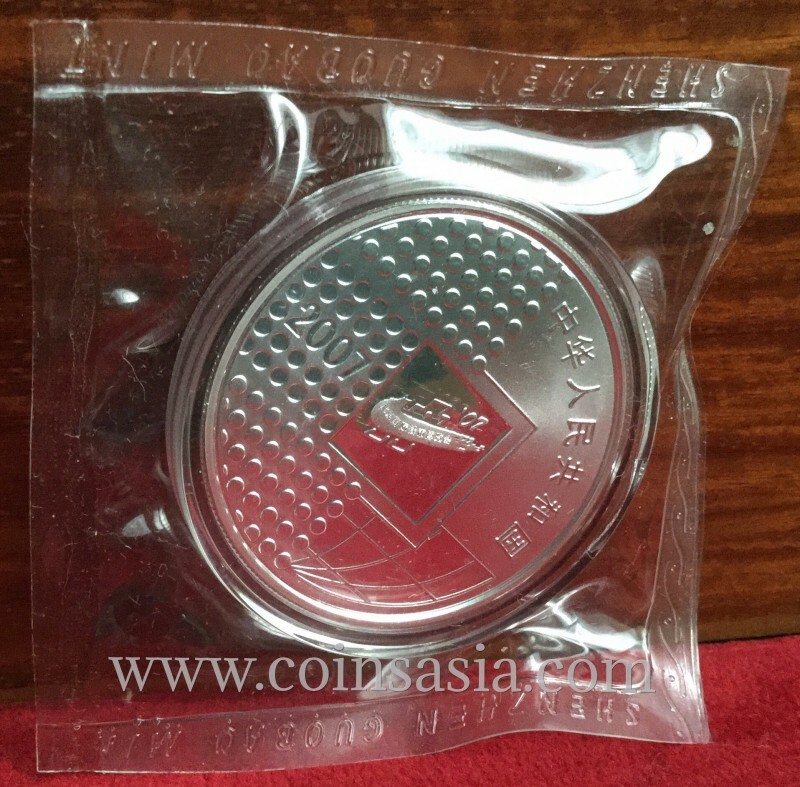 *** Coin is Seldom Sold Together along with Beijing Coin Show Stamp Issues and Book!